Do you remember a day when it was thought very un-American and downright shameful to hear someone speak negatively about America’s Christian heritage? There was a time when even if they did harbor those feeling they respected those who felt otherwise enough to keep silent. This beloved Christian heritage was at one time discussed in the Churches, schools and homes all across this land with a pride and reverence that made America the great nation that it was. It is a very different world in which we live today. As you look around you today and see the very decay of our nation’s morals, values and principles to the extent that what was at one time considered sinful is now a normal and encouraged life-style. What has happened to our America? 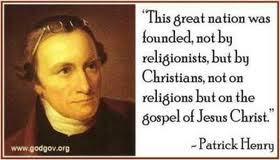 We need to go back to when America’s first love was Christ Jesus himself. Let us take a small refresher course in what made America the envy of the world and a nation respected for not only its power but also its Christian beliefs. 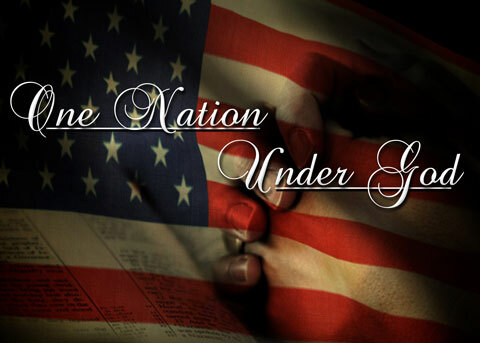 We hope that it will encourage you to pray for this country with passionate prayers that God will once again through the remnant that is left within this nation to help rise up another generation like the one that landed upon its shores so long ago in search of Christian Liberties. They embraced every hardship that came their way in the new world as a Godly Providence that would one day, through perseverance bring them the rich blessing of a God ordained Christian Heritage for generations to come. The one you and I have enjoyed for so long. May God remind us of who we are and where we came from as you read the following history of our nation. 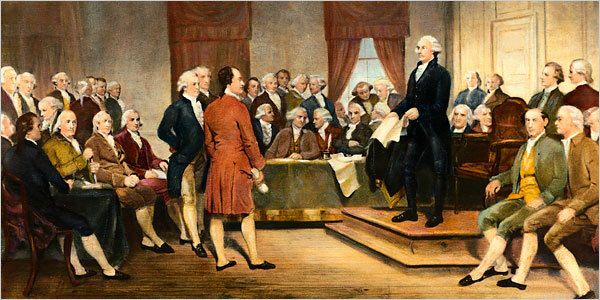 Did you know that 52 of the 55 signers of the Declaration of Independence were orthodox, deeply committed Christians of which many held seminary degrees? The other three all believed in the Bible as the divine truth, the God of scripture, and His personal intervention. 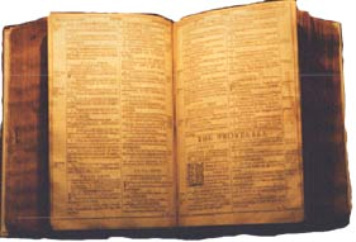 This Bible (shown above) is known as the “Bible of the American Revolution.” Robert Aitken’s Bible was the very first known English-language Bible to be printed in America. 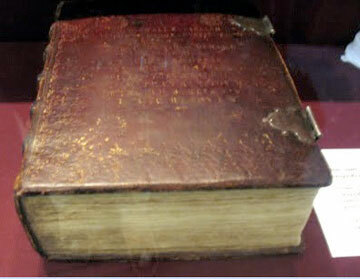 It is also the only Bible to have received Congressional approval. It is today one of the rarest books in the world. Only a very few copies still remain. That in every well regulated Government in Christendom The Sacred Books of the Old and New Testament, commonly called the Holy Bible, are printed and published under the Authority of the Sovereign Powers, in order to prevent the fatal confusion that would arise, and the alarming Injuries the Christian Faith might suffer from the Spurious and erroneous Editions of Devine Revelation. That your Memorialist has no doubt but this work is an Object worthy the attention of the Congress of the United States of America, who will not neglect spiritual security, while they are virtuously contending for temporal blessings. Under this persuasion your Memorialist begs leave to, inform your Honours that he both begun and made considerable progress in a neat Edition of the Holy Scriptures for the use of schools, But being cautious of suffering his copy of the Bible to Issue forth without the sanction of Congress, Humbly prays that your Honours would take this important matter into serious consideration & would be pleased to appoint one Member or Members of your Honourable Body to inspect his work so that the same may be published under the Authority of Congress, and Further, your Memorialist prays, that he may be commissioned or otherwise appointed & Authorized to print and vend Editions of, the Sacred Scriptures, in such manner and form as may best suit the wants and demands of the good people of these States, provided the same be in all things consonant to the Scriptures as heretofore Established and received amongst us. And to think that today our schools have been denied the very act of Prayer is a sad testament as to how far we have sunk as a Christian Nation. “An appeal to arms and the God of hosts is all that is left us. But we shall not fight our battle alone. There is a just God that presides over the destinies of nations. The battle sir, is not of the strong alone. Is life so dear or peace so sweet as to be purchased at the price of chains and slavery? Forbid it almighty God. Dear Friends, this is but a small sample of the many historical facts found in the archives of our country testifing to the Godly heritage of America, so why are so many Judges, Political leaders, Activists, and others denying this heritage? Satan and his demons really do exist and fight against us. God’s word states that as long as there is a remnant crying unto Him he will be there for them. Are you a part of that Remnant today? "So too, at the present time there is a Remnant chosen by grace." Let us not turn away from our Christian Heritage. But let us fight to keep what is worth keeping. If you do it for no one else, do it for the future generations that may never recognize the Nation that we have known. Teach your Children to pray! At this particular time in their lives it is without a doubt the most powerful weapon they can possess. Prayer CAN change a nation! Try it, you’ll be glad you did!